The paper was too good to throw away. The painting was certainly ready for the bin but I wasn't about to toss a perfectly good piece of paper. So it went into my pile to be used another day. Sometimes I try to rework a painting making changes to the existing painting. Sometimes I have lost interest in the painting and just want a fresh start. The unfinished and abandoned painting. 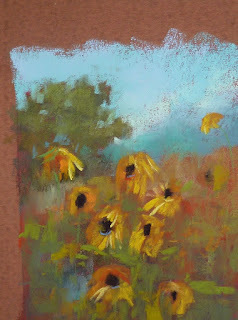 I don't even remember what this sunflower painting was for. I don't know why I didn't paint to the edges. But I was no longer interested in making it work. The paper was good though. It was a piece of Wallis seconds. I bought some of these warm mist seconds last fall. I didn't dare waste it! I decided to keep it simple and I used a piece of pipe foam insulation to rub in the pastel. It removed much of the thicker pastel leaving a faint ghost image. I sprayed this ghost image with workable fixative so that it would darken and not mix with my next pastel layers. The ghost image ready for a new life! This ghost image was the perfect way to start a new painting. 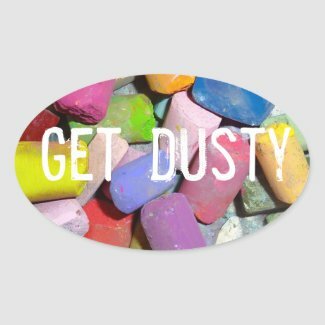 Ghost images are helpful! Ghost images take the pressure to perform off the table. There is no fear of ruining a precious clean piece of paper because there is already something there. Ghost images are less intimidating because they are often messy and even ugly. You can't really make it any worse! Ghost images help you loosen up and paint with more freedom and expression because your painting is already mysterious and free. The ghost image gives you a head start. 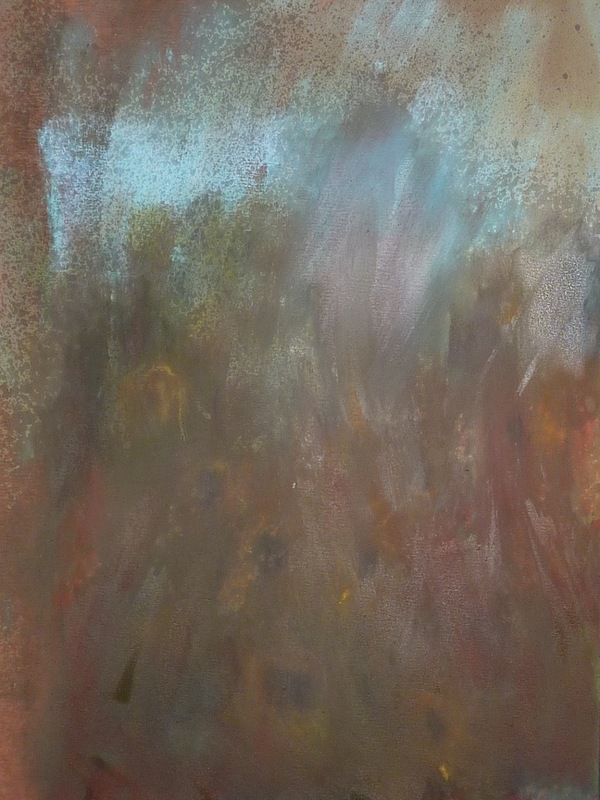 Ghost images often lead you in unexpected directions or even suggest things for your painting concept. 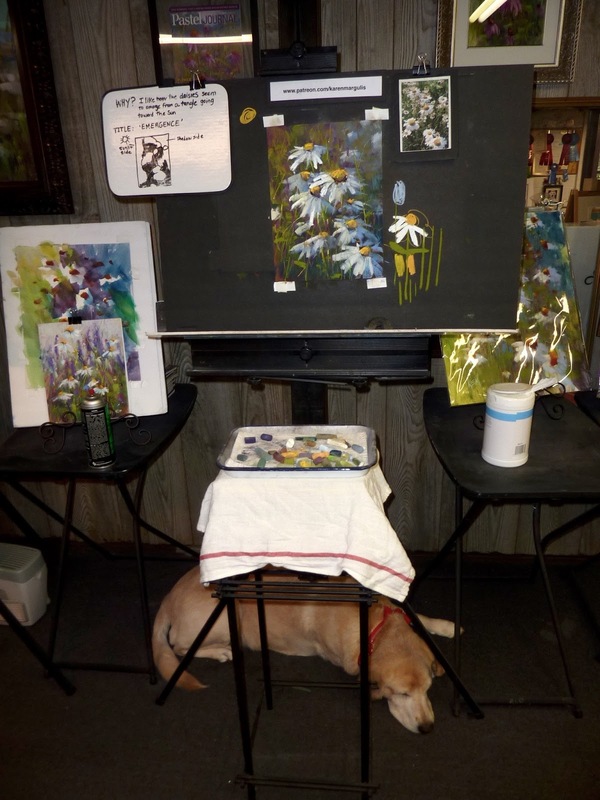 My ghost image gave me a head start on my daisy painting. The colorful dark mass was perfect for my dirt and the light shape at the top of the paper allowed me to visualize where the light would be coming from. There were even very light leftover sunflowers which would become hidden flowers in my scene. 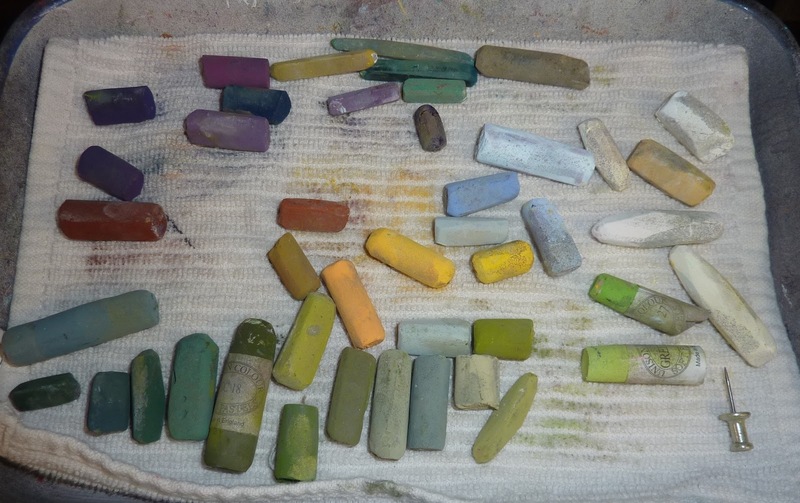 The pastels I used for this painting. Check out the video demo on my Patreon page! This week's video demo is now up on my Patreon page. 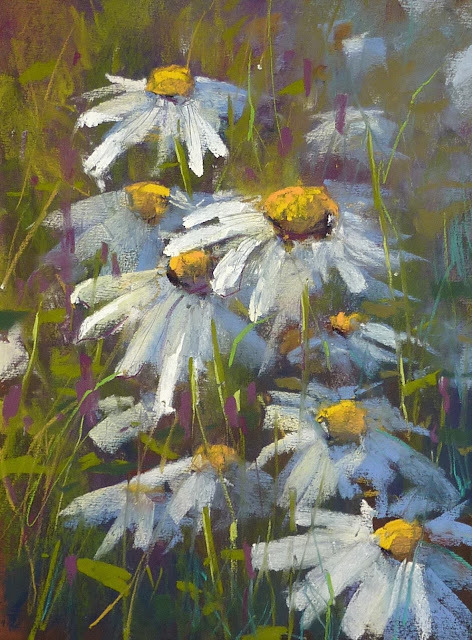 I show you how this daisy painting evolves from start to finish. Give my page a try. Cancel at any time. This is very cool! I don't usually rework old paper because I've got a good stock of new, but now I'll have to try sometime.